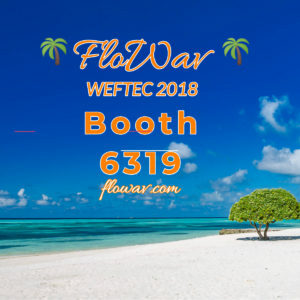 WEFTEC 2018 is Going to Be Great with FloWav! We are bringing rest and relaxation with warm tropical breezes to WEFTEC 2018! Come hang ten with us in booth 6319 and learn about our incredible flow monitoring solutions. We Help – Not Sure What Equipment Is the Best For You? We Can Help With That! Don’t be a kook, drop in on us for all the best times and sweet, calm waves! FloWav at WEFTEC 2018 – Ride The Wave of Technology!